It’s important to name these traits so we can notice them, call them out, and nurture them in ourselves, so we can affirm them in others. When we pay attention to the Purposeful Hustlers doing the work around us, we can feel supported and encouraged in a whole new way. We can give each other energy and positive momentum to do the work we’re meant to do! A purposeful hustler isn’t fearless. In fact, so much of the time, pursuing purpose involves stepping right into what scares us most. The important thing is that Purposeful Hustlers aren’t deterred by their fear. They don’t let it stop them. Purposeful Hustlers embrace their fear. They know that it’s part of doing work that really matters. The things that are really cool so often take big risks to pull off. Purposeful Hustlers aren’t afraid to go for it, and they know that failure is part of the process along the way. Purposeful Hustlers see their success as collective. They succeed when others are lifted up around them. They know that their wellbeing is weaved into other people’s wellbeing and see a direct connection among people. Purposeful Hustlers are intentional about building inclusive communities, where all can benefit and become better. 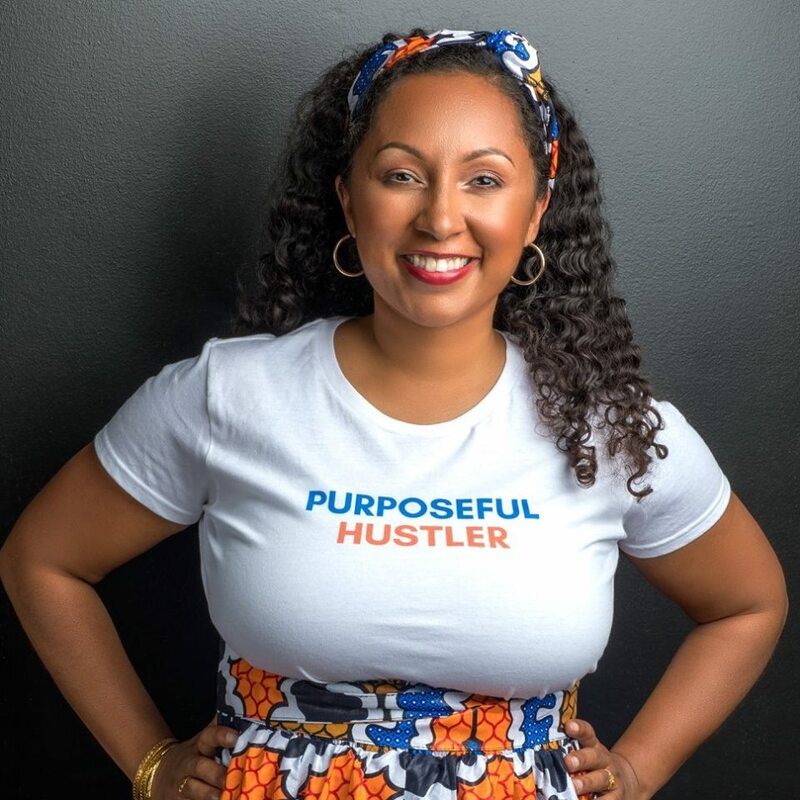 Purposeful Hustlers have that quality that makes people want to connect with them, learn from them, and work with them. Their passion, energy and all-around hustle draw people in. You can’t help but feel inspired when you’re around someone giving their all to becoming the person they’re meant to be. That kind of authenticity and drive is contagious. Please note that this does not mean that the person has to be an extrovert. I know a lot of quiet Purposeful Hustler introverts that are super magnetic because people around them see how engrossed they are in their passions. Purposeful Hustlers CHOOSE joy, not because everything is perfect, but because they know that in the midst of chaos, there are still so many reasons to be grateful and to laugh. It’s impossible to keep going and to do difficult work if you can’t find outlets for joy. Purposeful Hustlers know that it is a privilege to get to live a life of meaning, even when it’s stressful. They are resiliently and relentlessly joyful. Purposeful Hustlers use joy as a beautiful form of resistance. They refuse to give into the cynicism that can stop good work. They are dedicated to doing their part to make the world around them a better place for everyone - and they’ll have a dance party while doing it. Do you have a Purposeful Hustler in your life who you want to encourage this holiday season? Check out these Purposeful Hustler t-shirts. Every time they wear it, they’ll be reminded of their purpose and that they are more than capable of living it out. They’ll remember that you see these awesome qualities in them, and maybe that will motivate them to keep going. P.S. It is okay to buy yourself one too!